I was reading a letter in a local newspaper a while ago about the Brit’s appalling ability to deal with summer fashion, whether it’s Hawiian shirt or Speedos barely containing anything other than the family jewels. 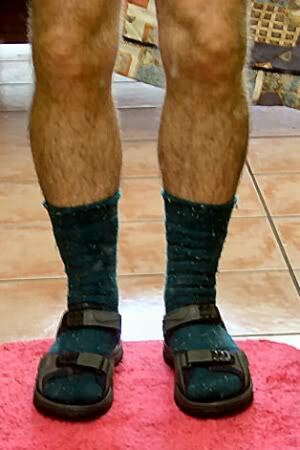 And I’m not keen, either, on seeing a pair calf-length cotton-mix showing below the straps of sandals, but, you see, in this tasty little fashion style we Brits are just dedicated followers of fashion. What would we do without the ladies? This entry was posted on October 1, 2010 at 9:20 am and is filed under Uncategorized. You can follow any responses to this entry through the RSS 2.0 feed. You can leave a response, or trackback from your own site.